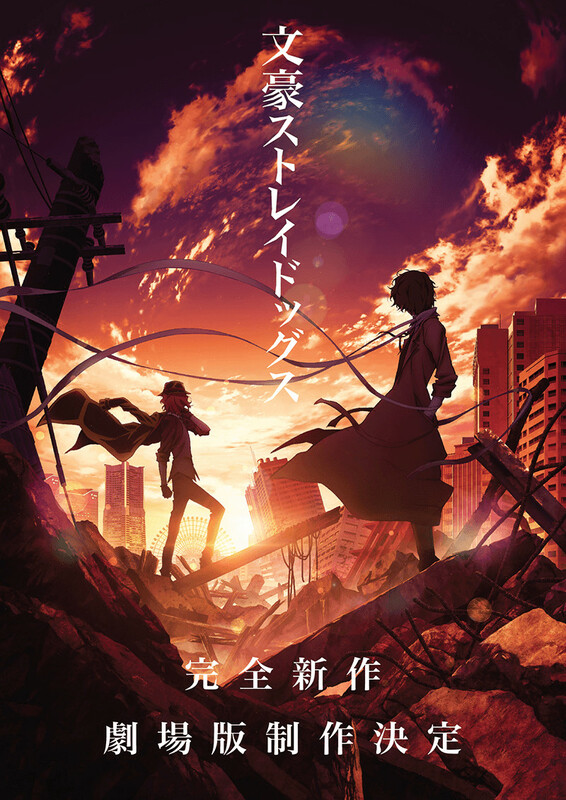 According to the Bungou Stray Dogs series's "Mayo(w)i Inu-tachi no Utage Sono Ni" event, it is getting a new film project and a stage play. More detailes will be released in the future. The story follows a league of literary figures with supernatural powers. 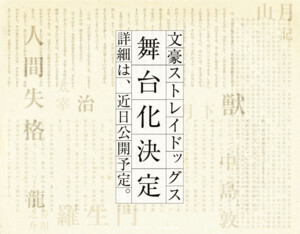 In real life, Ryūnosuke Akutagawa wrote acclaimed stories that inspired Akira Kurosawa's Rashōmon film and the Aoi Bungaku Series anime's Jigoku Hen arc. In Bungou Stray Dogs, he has the power to transform and manipulate his cloak into a monster-like entity. Together, some of these writers solve mysteries as part of the "Armed Detective Agency," while others appear as antagonists. The anime television series adaptation by Bones aired in 2016. The manga has been serialized in the magazine Young Ace since 2012.